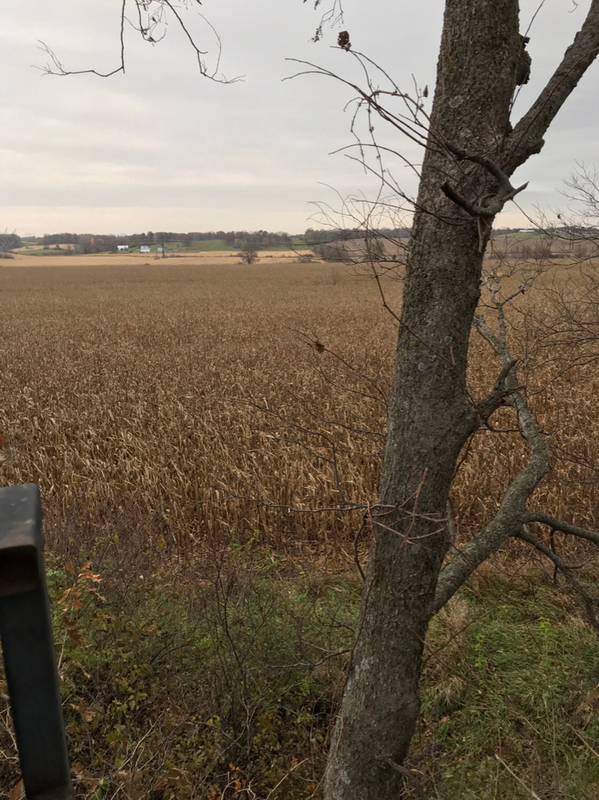 Discussion in 'Iowa Whitetail Conference' started by sooner308, Oct 29, 2018.
still a tough season for me. 2 solid days on my dirt last Fri - Sat. Up until the last 2 hrs on Sat - it was a disappointing trip. Once the rain broke on Sat - deer started to move and I saw two 3 yr olds on their feet cruising the last hours of Saturday. 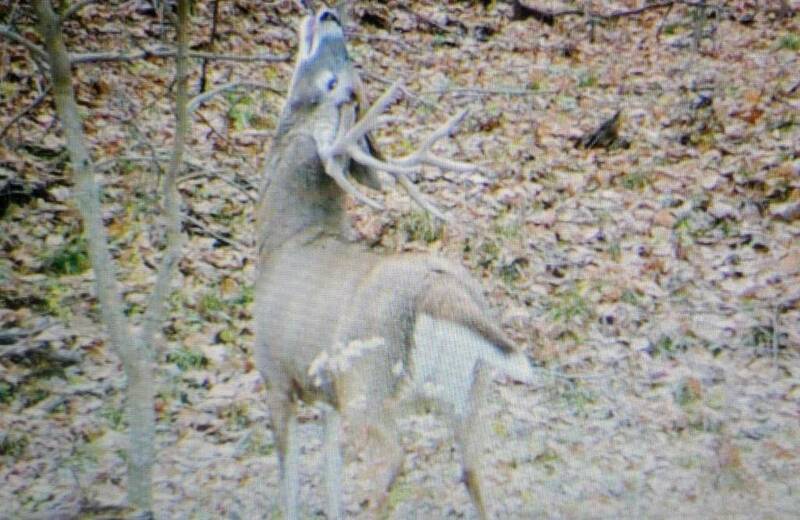 A couple other bucks were moving on Fri based on cams but I was in the opposite end of the farm. 2 more hours last night on my permission farm yielded a couple does and a spike - 40 acres of corn are going to be on the farm for a LONG time after these past few days. Hunted a fence row Sunday afternoon usually produces a fair share of sightings this time of year. To the north is corn as far as you can see and to the south is crp. To the west is more corn. Probably 7-800 acres still in around the farm I hunt. Don’t think that’s helping any. EatSleepHunt and Broot like this. So far today good movement. Non- stop action. 7 bucks so far today. All cruising ridge tops, none with doe. Started with a spike. Nice tall 8 and a few 2 and 3 year old 10s. Had a stud 5 or older 10 point that I just could not get a good shot at. Trotted through my 1st shooting lane, facing me in brush while at full draw and walked straight away before clearing the brush and hitting next shooting lane. Probably could have forced a shot, but would have felt much worse if I wounded him. Hopefully wecross paths again with a better outcome (for me). Doe must be hiding as have only seen 2. Wapsi Tree, BJohnson and EatSleepHunt like this. I had two good am hunts the past couple days. Lots of movement and four different 3 yr old bucks seen in the two sits. Two slightly out of range, two got the pass under 25 yards. Kind of a slow sit tonight. Saw some, but nothing was going crazy on the chasing. Did see one 2 or 3 year old buck worrying a doe and shadowing her, but they moved through kind of slow actually. Some other miscellaneous deer were sighted...but the buck I am likely to shoot made an appearance right on schedule and I thought sure I was going to bag him...but he gave me the slip. He was inside 30 yards twice, but I could never get a clear shot. Drat! Oh well...I guess I get to hunt tomorrow! It's like the rut doesn't exist in sw Iowa where I'm at. I sat from 11:30 to 4:30 yesterday in Winterset. Had about a dozen bucks come through. All came in behind me in my stand....lesson learned. Nice 10pt around 12:15 with no shot. Lots of movement but didnt see any hard chasing. Going to go out tomorrow and move the stands a bit for Saturday. All noses to the ground in my area! Big bucks tending does where I'm hunting. Fawns starting to get pushed off. It broke loose today. Deers running everywhere. Saw a little bit of hard chasing tonight, but more following and nosing around. Saw probably 8 different bucks, but not a big one. Drat. Slow morning. 2 bucks out walking around. No chasing. Hey there Daver. Bet I woulda taken all 8 you let pass!